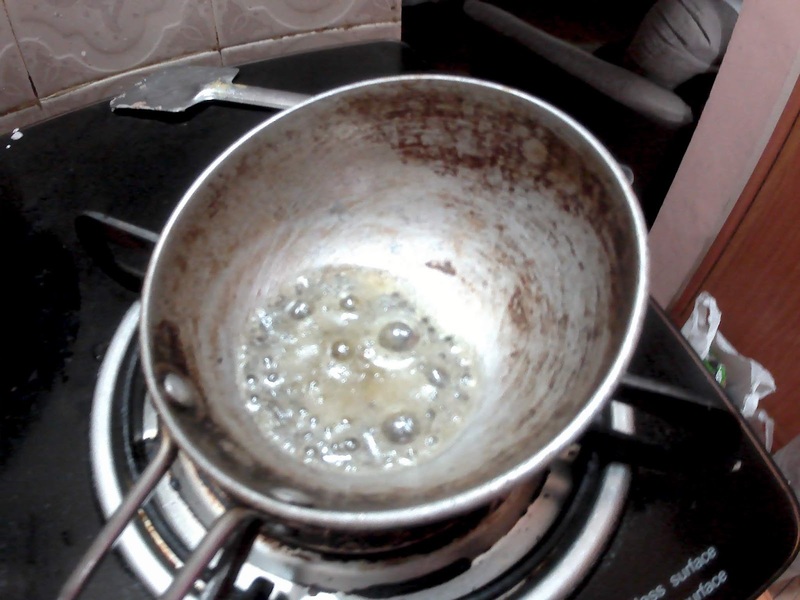 Kadamba chutney with step by step pictures. Kadamba chutney is a made with a mix of many ingredients which goes well for idli/dosa or any millet dosa. Have you seen flower vendors selling kadambam flowers which have a mix of different color flowers and in the same way this chutney also have a mix of different ingredients and hence may be the name( I don't know the exact reason for this chutney and it's my wild guess.) I served this for instant ragi dosa which I will share very soon. Let us see how to make this easy chutney. 1. Heat 2 tsp oil in a pan. First roast urad dal , then add green & red chilly & roast. When roasted add onion, tomato, saute for a while. 2. Next add coriander leaves, mint leaves, curry leaves and saute till it shrinks.Lastly add coconut pieces, slight roast and switch off. 3. Cool and transfer to a mixer. Add salt and grind to a fine or semi-fine paste with little water. 4. You can serve as such or temper with mustard and serve.